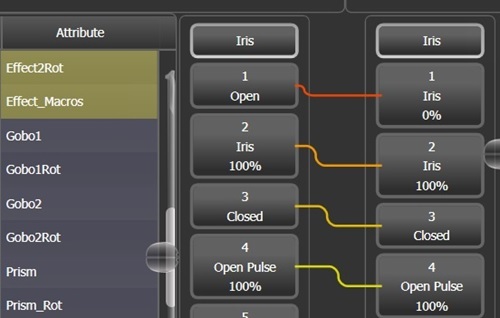 Titan is the live, fast & powerful lighting control interface. 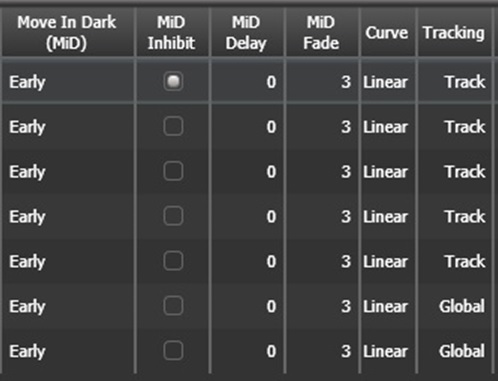 Effects can now be set to run a finite number of cycles and then stop.When creating normal shapes, softkey D has been changed to [Adjust Beats and Cycles] and selecting this will connect the wheels to set the number of beats and cycles. 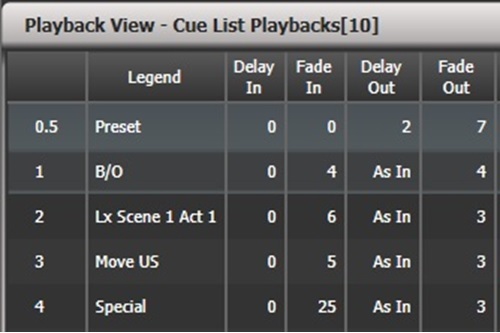 Two new cue list key profiles called [Flash and Go] and [Timed Flash and Go] have been added. These provide a way to advance through a cue list with flash without needing to press go and is particularly useful for applications where the cue list is on a playback window or macro/executor handle. Where available and included in a personality file images of attribute functions such as gobos are now shown in the Attribute Editor and are used as palette legends when auto palettes is enabled. 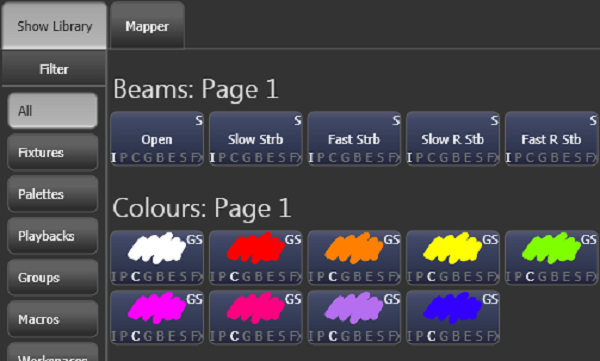 This makes it easier to visualise what a particular function or palette such as a gobo will look like. A new 'Cross Fade HTP' toggle switch has been added to playback options for cues, chases andA new 'Cross Fade HTP' toggle switch has been added to playback options for cues, chases and cue lists. This effectively provides a way to make HTP channels behave as LTP and obeys the playback priority level.When enabled the output of any existing HTP controls (ie. dimmer channels) will be lowered to match this playback, including zero. Three new curves have been added to Fan to help achieve various looks quickly:[Mirror] divides each part of the selection into two halves where all the fixtures in one half are the opposite of the other. [Wings] divides each part of the selection into three sections where all the fixtures in the left-most section are the opposite of all the fixtures in the right-most section and the fixtures in the middle section do not change. [Pull End] is similar to [Pull Ends] except it just pulls from one end. Obviously. This new mode allows both playbacks and palette information to be loaded into the scene master, then committed to live either on the fader, or over a time. Preview your scene using the built-in visualiser. Introducing the amazing new Key Frame Shapes, providing the capability to create spectacular effects from scratch. Using palettes or the programmer to define the frames, and powerful tools such as transition curves, phase and spatial direction, it is possible to create radically different looks for each channel in seconds. Synchronise these together for dramatic impact. Integrate Pixel Mapper effects with Key Frames using one simple interface. 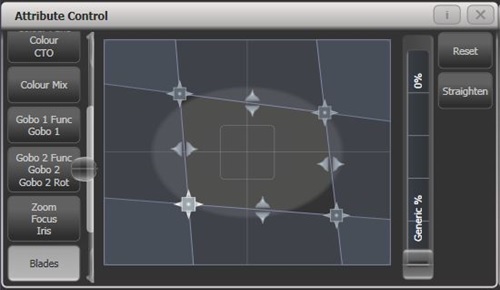 See Key Frame Shapes in action in this video from Robe! Connect multiple consoles together to work collaboratively or independently on the same show. A show can have multiple users, each with their own User Settings, Handle Worlds and Selected Key Profiles. When set to Multi User, consoles can still be used as backups. Multiple consoles on the same show allow your backstage tech to exchange, reset or fault find on fixtures, or even patch in floor packages, without interrupting programming. The ability to have multiple programmers working at the same time enables speedy programming, with palettes being made or edited on one console automatically updating to other connected consoles. Networking of the outputs using the Titan Network Processor allows system capabilities to be increased to up to 64 DMX universes, catering for even the largest world class spectaculars. 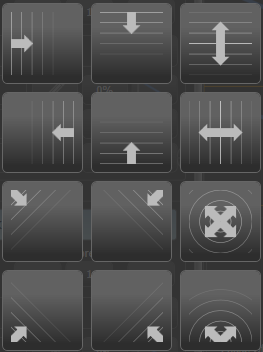 All of this can still be used in conjunction with Titan Remote! The new Web API feature enables users to control Titan via simple HTTP commands, which could be very beneficial for any number of reasons in an install. Get the full programming power of Titan, but leave a simple to use interface or trigger commands with other input like tide sensors at the New Dawn install. Find out more about Web API HERE. V10 features a full 3D visualiser powered by the Capture engine. Create and edit your show right inside the Titan interface. Lay out your fixtures in the space using your console's encoder wheels. See all your intensity values in one place with V10's Intensity Grid. This clearly shows levels, source of information, whether increasing or decreasing and tracking information. No longer restricted to just 4 workspaces per screen, pick any position and size for your windows in seconds and store them to your workspaces for quick access to the information you need. Massively speed up programming with comprehensive Undo functionality. Undo almost any action on the console including; delete, merge, move and loads more. View history in the new undo window, and click any point to undo back to that action. Avolites’ industry-leading pixel mapper gets even more powerful with the new motion blur effect in Titan V10, allowing for even more creative possibilities. The industry’s best pixel mapper allows complex multi-layer effects made in record time, across all fixture groups, as if they were one entity. Create and animate pre-programmed or custom content using Avolites’ unique Quicksketch tool and image import. Use Gradient Fill to create smooth, soft edge transitions and exciting layered effects, now even quicker using cross-layer copy and move functions. Effortlessly copy values across fixtures, either in a recurring pattern or a smooth fade. Quicksketch icons are fast to ﬁnd during show time. 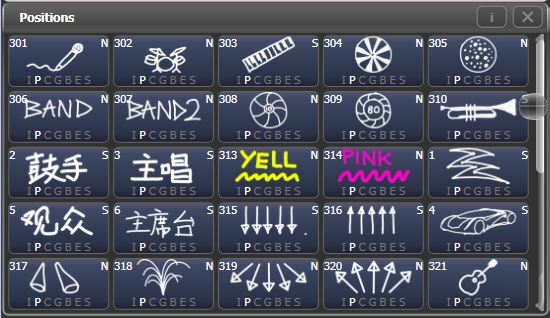 Create custom icons instantly with Avolites' unique Quicksketch drawing tool. 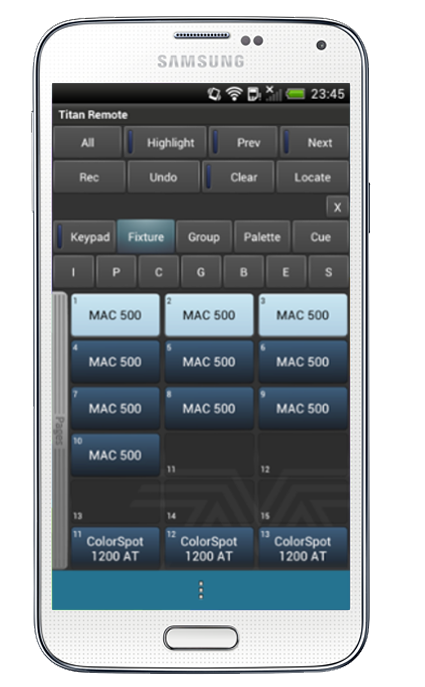 Use the remote for fast and simple fixture focusing or updating palettes when away from front of house. Program, Edit or Playback all of your Cues, Cue Lists, Chases and Effects. 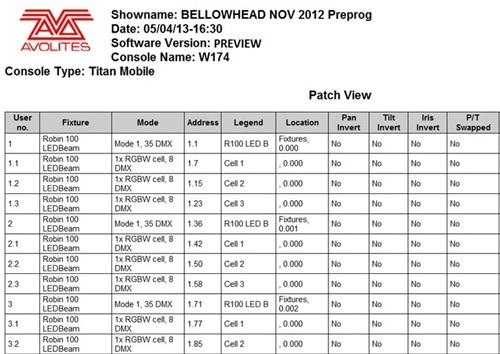 Titan Remote works as a separate networked console, giving you all of the facilities and tools of Titan. Available free in the Apple App Store HERE and the Google Play Store HERE. Get maximum punch and more accurate colours from your LED fixtures, thanks to new, four-channel pixel mapping and colour mixing. The central point to access any item within your Titan show. All show elements can be searched or filtered using the quick filter, with each element appearing in page order for easy grouping. You can un-assign items rather than deleting them, so you never lose that all important cue which allows you to use the show library as a cue store. Also the hub for importing programming from any other Titan show, Show Library allows you to quickly switch between shows when importing content. Video Media Integration with instant multi-layer patching and Video Clip Selection by image preview.For servers supporting CITP. Tapping once in the Playback display will open the Cue List View. Tapping twice on a cue opens the Channel Grid View for the current Live cue. All views are programmer interactive. Copy, Paste and ‘Select Range to Edit’ provide a powerful editing tool for cues, Palettes and Chase steps. Easily create complex cue lists with the help of extensive move in dark and tracking options. See exactly what each step contains using the shape and pixel map views. Edit values directly from cue view, and set fade times over the whole cue, attribute groups or individual channels. 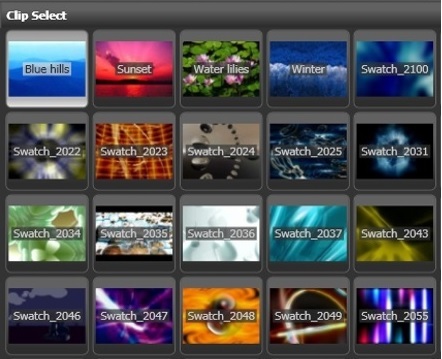 Quickly create new shows from the best parts of your past productions. 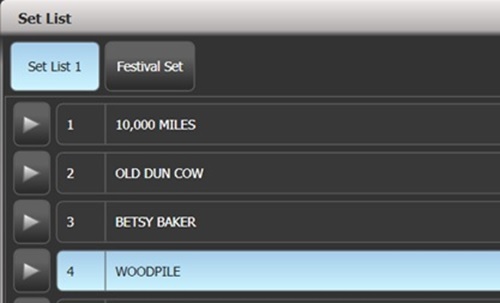 Reuse any part of your show from Shape Palettes to Fixtures and Cue Lists. Cue pages can now follow the shows running order – no matter how late you are given the set list. Display helpful notes like songs, follow spot colours or operator cues. Create a cue list hard copy for the director or arrive at the venue with your rig pre-patched by sending in advance your ﬁxture patch to the venue crew. Fixture exchange is revolutionised with a unique visual, Attribute Mapping System. Customise any ﬁxture exchange to ﬁt your needs; for example, old Gobo 1 to new Gobo 3. Keystone Custom ﬁt your projection onto any surface. Stretch, adjust, tweak to ﬁt at your ﬁngertips. An intuitive hand eye action affording fast, accurate control of shutter blades. 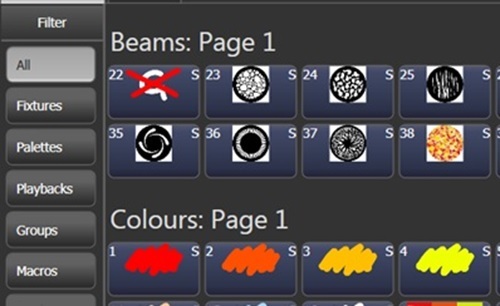 Global palettes are importable between shows, and allow users to apply information universally to all fixtures possessing intensity, colour, pan or tilt attributes. When imported, Global Palettes will match these attributes across all fixture types, saving you from having to recreate the palettes. Global palettes can be recognised by the 'G' in the top right corner of the palette handle. Create palettes which reference information from another palette. When the originals are updated, they will also update the nested palette. You can toggle between whether the palette remains nested or not, allowing the palette to have hard attribute values, or to continue referring to the base palettes used to create the nested ones.